Karen has over 20 years in Property Management Accounting, which includes accounting responsibilities for retail, office, residential and industrial properties. Karen has been responsible for all facets of property management accounting, which included providing financial reports for a portfolio of approximately 2.3 million square feet of retail and office properties. 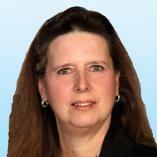 Karen’s areas of expertise include property management accounting and financial reporting.